Lycoming College is committed to assisting all students – residential and commuting - in making their experience at Lycoming College enjoyable and successful. We are particularly encouraging of commuting students to become active participants in campus life so that their experience at Lycoming is truly satisfying and enriching. The commuter student experience is quite different from that of a residential student (a commuting student may need to be more deliberate in seeking ways to get connected versus that of a residential student). However, by taking a few simple steps, you can become more connected to Lycoming and make your college experience more interesting. Just going to class and then going home makes it difficult to feel like part of college community. But, if you get involved on campus and make an effort to meet other students and staff and it won’t be long until Lycoming College feels like home! Make up your mind to spend more time on campus, make a special effort to find out what’s happening on campus and attend events of interest to you and, before you know it, you’ll be connected! Get involved in student organizations. Just because you commute to school doesn't mean that you can't be involved in organizations and clubs on campus. Getting involved in student organizations is a great way to meet new people and form friendships with your classmates. Join study groups. Ask classmates how to join study groups or ask some of your classmates if they would like to meet at the library or other location and go over class notes before a test. Study groups are an excellent way to meet students and form friendships. Participate in intramurals. Participating in intramural sports on campus is an excellent way to become connected to Lycoming. Joining an intramural team will give you the opportunity to meet other students with the same interests as you. Consider going to the Keiper Recreation Center to work out or joining an intramural team instead of leaving campus as soon as your classes are over. Find a job on campus. Working on campus is an excellent way to meet people. It gives you the opportunity to get to know staff, become more familiar with the campus and, by spending extra time on campus, you will become more aware of campus activities that you can attend. Is there special parking for commuter students? Where can I study or just hang out between classes? Where can I go if I need to use a computer? Will I be assigned an email address? Where can I store my belongings while on campus? If I'm not feeling well, what do I do? What if someone needs to contact me in an emergency while I'm in class? What happens when bad weather prevents me from getting to campus? Where can I find out about campus policies for students? Do students get mail boxes on campus? How can I find out about clubs and student organizations on campus? Is there an organization just for commuter students? You can get your ID card at the Safety and Security Office located in the lower level Rich Hall. Your ID is needed for nearly everything you do on campus including checking out books at the library, obtaining tickets for athletic events and entry to the Keiper Recreation Center and academic buildings. Lost ID cards can be replaced at the Department of Safety and Security for a cost of $20. You can find your class schedule on WebAdvisor located on the homepage of Lycoming College's website. If you have any questions about scheduling classes contact the Registrar's office in Long Hall at (570) 321-4145. 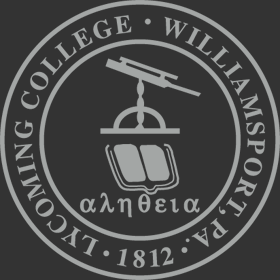 Semester and academic year parking permits can be obtained on our Lycoming College website under your Webadvisor. Commuter students may pick up their parking sticker at the Safety and Security Office approximately 2 -3 days after submitting their application. The office hours are Monday through Friday, 8:00am - 4:30pm. Parking regulations can be found at https://www.lycoming.edu/safetyAndSecurity/parking.aspx. It's a good idea to to arrive on campus early to ensure a parking spot. The Streeter Campus Store is located in the Wertz Student Center on the second floor. You can take your class schedule to the campus store to obtain your text books. The campus store staff will be happy to assist you with your purchase. Another option for finding your books is to buy them from other students on campus. Students sell their books by posting signs in the residence halls and in the Wertz Student Center. Commuter students at Lycoming College use Pennington Lounge, in the Academic Center, as a place to study and socialize with other students. Study space is also available in Burchfield Lounge, Wertz Student Center, Lynn Science Center, and the Snowden Library. Café 1812, located in Pennington Lounge in the Academic Center, features organic and fairly traded coffees roasted by Golden Valley Farms of West Chester, PA. Café 1812 is much more than coffee. Freshly remodeled, it now offers smoothies, milkshakes, sandwiches and salads made to order. The hours of operation are Monday thru Friday 7:00 AM to 5:00 PM. Students can use dining plan flex dollars or cash equivalency, cash, MasterCard and Visa. The Wertz Student Center Dining Hall is open to commuter students at a reduced rate from the guest rate. Additionally, Lycoming also offers a meal plan to commuters. This plan includes cash equilvalency and flex dollars which can be used at Café 1812 and Jack's Place. Flex dollars can also be purchased without the meal plan. A meal plan and flex dollars can be purchased at the Business Office in Long Hall or by going on line to https://www.lycoming.edu/business-office/. If you wish, you may also pay cash or use a credit card in all three locations. Jack's Corner provides a location for students, faculty, staff, and guests to relax and have some fun. The facility is equipped with games, a stereo system, high definition TV, on-campus telephone, and computer email/web access as well as the snack bar. Open seven days a week from 7:30 p.m. to 12:30 a.m., Jack's offers a variety of snack items including smoothies and ice cream delights, a full service grill, Fresh Mexican, pizza and “on the go” premade salads and sandwiches, convenience items and beverages. Students can use their dining plan flex dollars, cash, MasterCard or Visa to purchase items from Jack's. Several computer labs are available in the Academic Center. Additionally, there are computers available in Pennington Lounge and the Snowden library. WiFi is also available in Pennington Lounge and the library. A free campus email account is available to all students. You will automatically receive an email account when you enroll. If you do not have an email account or need instructions on how to use the email system go to Information Technology Services in the lower level of the Academic Center. EMail is the primary means of communication between most administrative and faculty offices and students. It is the your responsibility to check your on-campus email account regularly. Failing to check your email may cause you to miss important correspondence or announcements of the many opportunities the campus has to offer. Health Services is located on the lower level of Rich Hall. A full-time nurse is on duty from 8:00 to 4:00 p.m. The services are offered at no extra charge. A visiting doctor is on campus one hour per day. If needed, the nurse can arrange an appointment for you. You should instruct appropriate family members or others to contact the Office of the Vice President for Student Life and Dean of Students, (570) 321-4039. The Recreation and Intramural Sports Department on campus offers a variety of recreational opportunities for students. The Keiper Recreation Center offers a state-of-the-art fitness room and a walking track as well as 4 basketball courts. Additionally, the Department of Student Activities and Involvement collaboration with the Campus Activities Board (run by students) offers many opportunities for students such as movie nights each weekend, trips to New York City for Broadway shows, skydiving opportunities, etc. If you are unable to travel to campus when classes are in session, you should notify the Office of the Vice President for Student Life and Dean of Students, (570) 321-4039, or email eldred@lycoming.edu. The Dean's office will notify your faculty members. An inclement weather link on the Lycoming College homepage will list class cancellations on bad weather days when the college is open. Please check the link before traveling to campus. If the College decides to closed, delay the opening of the College, or cancel classes, announcements may be heard on the following television stations: WBRE, WNEP, WYOU. The following radio stations may also be listened to for such announcements: WRAK 1400 AM, WRKK 1200AM, WKSB 102.7 FM, WMYL 95.5 FM, WBZD 93.3 FM, WILQ 105.1 FM, WSFT 107.9 FM, WVRT 97.7 FM, and WRLC 91.7 FM. An announcement will also be sent by email on the College's email system and a message will be provided on the College Switchboard. Campus policies can be found in the Lycoming College Student Handbook. Commuter students are not assigned on-campus mailboxes. However, If you wish to have a mailbox, please contact the Mailroom, mailroom@lycoming.edu. Boxes are assigned on a first come-first served bases. For a list of all recognized student organizations (as well as information on how to start your own organization), go to the Student Involvement website or visit the Office of Student Involvement, third floor, Wertz Student Center. CSO is an organization for commuter students or resident students who are interested in getting to know the commuter students. Please contact Barb Eldred for information about joining CSO.